WSM Loose Fibres Dyeing Machine from China Manufacturer - Wuxi Weifeng Dyeing & Finishing Machinery Co.,Ltd. With the continuous deepening environmental pollution control of china, it is important to energy efficiency and environment friendship by dyeing industry ,Our company research new generation of fibred dying machine has save water, electric, steam, manpower, dye stuff and working procedure, and increasing by dyed quality, the product have normal temperature and high temperature. ● It is suitable for dealing with coloration of loose stock, material such as wool, mucilage glue, Tencel, terylene, cotton and velour cashmere etc. ● It can do the refine, bleach, dye, and soften process one time. ● Laborsaving utility: dyeing yarn strips no need pinecone, can direct dyeing, easy operation, high productivity. ● Good quality: specially designed as low consumption and high function mixer flow pump, ensure optimal flux and delivery lift, equipped with dyeing water out-in flow and in-out flow system with automatic exchange, according to different frequency converter can adjust flux and delivery lift, making yarn strips, loose stock even dyeing results. ● Low liquor ration about 1:4, significant savings in water, steam, dye stuff, chemistry to help the etc. ● Patented designing heat exchanger making highest utilization of steam. ● High level of automation , all machine operation can used computer. 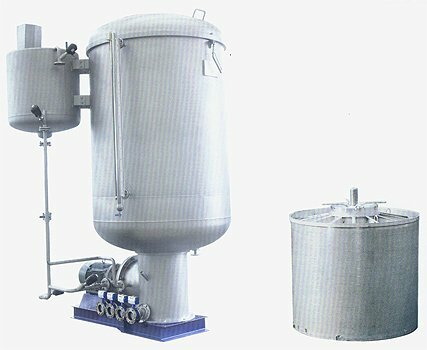 ● he machine body which bring into contact with dye liquor is made of high quality anti-corrosion stainless steel. ● Equipped with high efficiency mechanical seal stainless steel axial flow pump. ● Two heating way, direct heating and indirectly heating (except high temperature machine ). ● Furnished with stainless steel yarn strips cage or loose stock cage. ● Paint barrel equipped with feeding, mixing, water inlet and heating system. ● The main pump is controlled by frequency converter. ● Full automatic and semi-automatic controller. ● Automatic control of paint barrel. ● The 2nd water and the 2nd discharge.